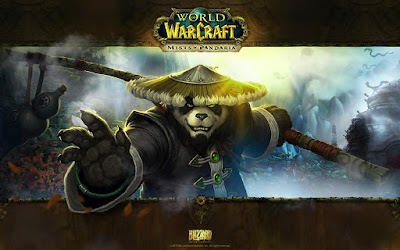 After my trials and tribulations the first day trying to get back into WoW I dove into Mists of Pandaria with my main Druid who was sitting at the end of Cataclysm content at level 85. At this point it's obvious that they have made the experience grind in Mists of Pandaria much faster than it used to be. I started shooting up levels just casually questing. After only a few quest hubs I was able to queue for the dungeon finder and I started shooting up the levels even faster. I liked the setting of Mists of Pandaria, it was nice and relaxing, but the quest design and the zone flow wasn't any better than WoW used to be. I mostly did the dungeon finder and that rapidly made me hit the Mists of Pandaria level cap of 90 in one afternoon. I never even left the first zone for questing. But I had a ton of fun with the dungeon finder. Dungeons were always my favorite part of WoW and it seems like that's still true. I got to sample all the Mists of Pandaria dungeons that afternoon. Then I was ready to jump into the next expansion, Warlords of Draenor, the next day. The smallest modern small bathroom sinks layout you can design and still handle an average size tub is five feet square. The sink in small bathroom designs can extend from the wall only 15 inches and the toilet only 27 inches. These sinks are beautifully finished on all sides, so that you have a variety of apron front installation options: flush mount undermount bathroom sink or raised sink. This provides the minimum space needed between the front of small sinks and the toilet. Nevertheless, the 5x5 small bathroom plan does not provide enough space in front of the tub for easy cleaning. The latest bathroom tiles design can make a room appear larger.